← I’m not making a to-do list. 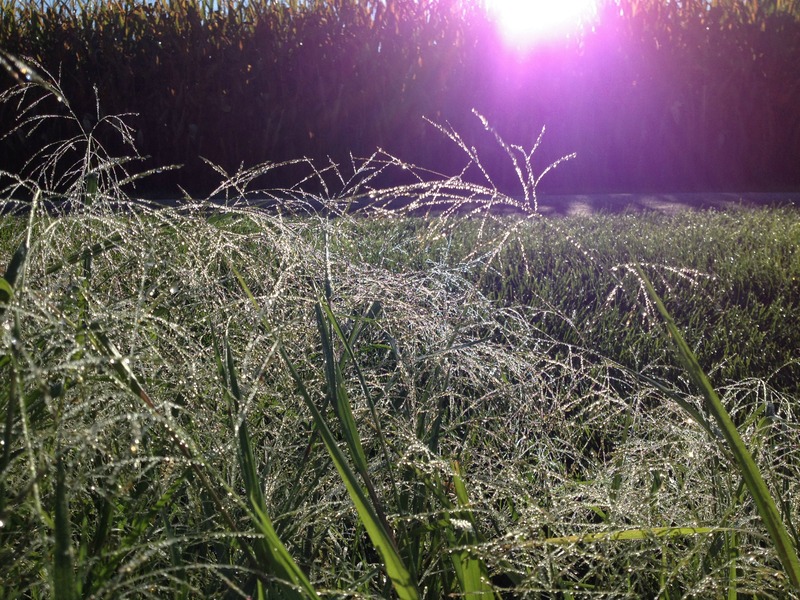 One morning this week, when Pig-farmer was home to do chores, I slipped away for walk. The dew was so heavy! It made me think of icy crystals of frost … but hopefully that isn’t for several more weeks. The crickets in the cornfield were my soundtrack. I cherish these moments of peace and beauty when all is right in my world. Because I know it ain’t gonna last. Why might that be? Because Pig-farmer travels. And it rained a lot. And we have pigs. Their pen was already muddy. And might I just add that the pigs are B-I-G? And that they LUV the mud? Now, don’t go calling PETA. That pig was happy as a dog getting a belly-scratch. 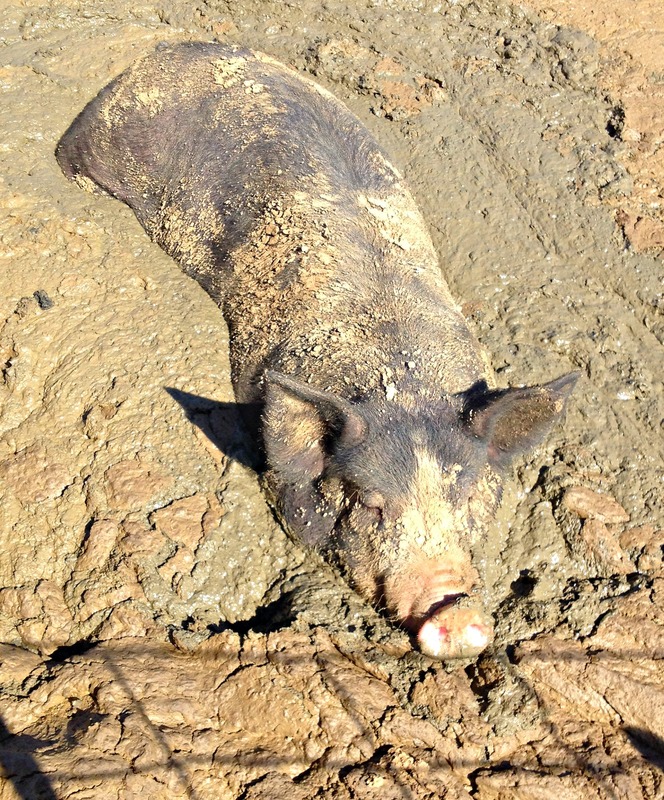 He chose that cool, muddy haven to wallow in. He had options. Like the barn where the rest of his co-horts were hanging out. Some were hanging half-in, half-out. Again, their choice. What I hate don’t particularly care for is getting in with them to feed them. You know how mice only need a hole the size of a dime, or so, to enter your home? Well, a 200+ pound pig only has to get that strong snout pointed in the direction it smells food. It will then move whatever cute thang is bent over the feeder attempting to clean out any old feed &/or mud clumps. No ‘scuse me ma’am or polite tap on the shoulder. Just 200+ pounds of hog steam-rolling its way to the feeder via the space between my two legs! Then, they take that big, strong head and shake the mud away. Ears flapping like a wet dog and flinging mud like little spit wads in a junior high classroom. This is why I wear shorts doing chores. I hose myself off before I come into the house. Happy animals. Happy Pig-farmer. Muddy me. 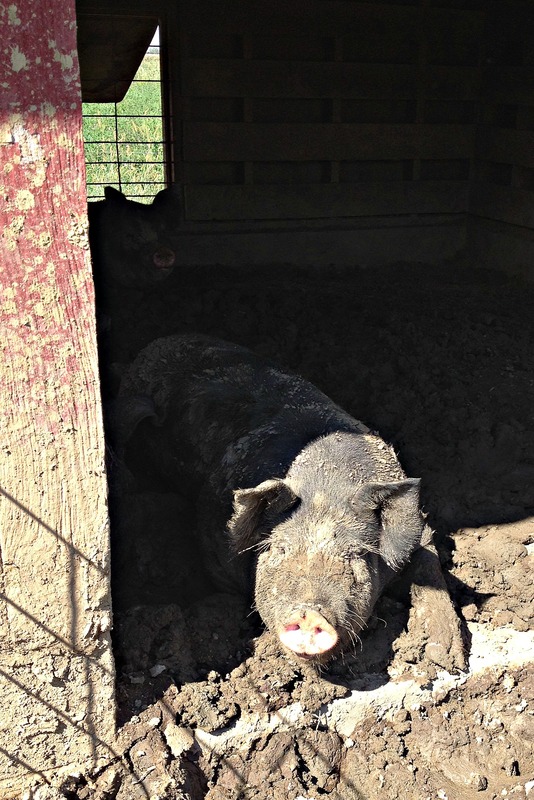 This entry was posted in Berkshire Pigs, Country Living and tagged Berkshire pigs, chores, country living, Pig-farmer. Bookmark the permalink. Just keep telling yourself, a Happy pig is a Tasty pig. I tell them they are spoiled. I will try your approach! The dew was sparkling! I took the pictures with my phone – and thought they turned out well. 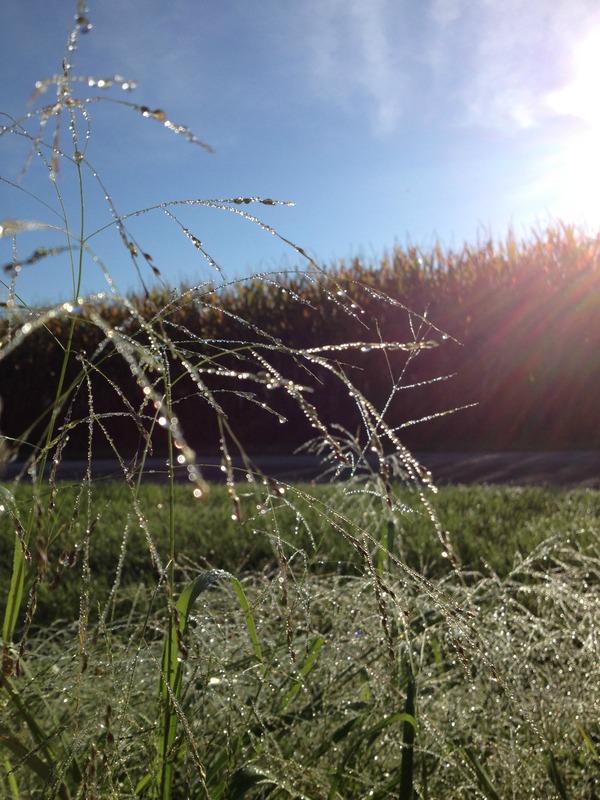 Your “dew” photos are gorgeous! I’ve never fed pigs, but I lived by a pig farm, so I sorta know their habits! Thank goodness for water hoses, right? Beautiful! I’m pinning to my Country Life board on Pintrest! Welcome!! I am happy you are here. The one in the mud does look happy!